There are healthy options that can replace soft drinks in school cafeterias. This is something that is normally being replaced with sports drinks and juices. These are not always the best options either though. They contain many ingredients that are not natural. A tea sachet can be prepared by students and staff by simply putting it in a bottle of water. 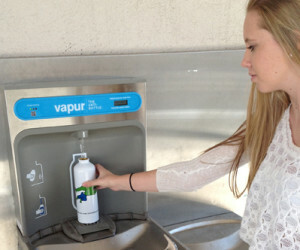 This can be refilled using the water fountain in the hallway as well. There are many different types of teas that are going to be enjoyed by the students. A sugar free tea can be enjoyed on breaks or in the classrooms, depending on the school policies. A sugar free tea does not have to be expensive or tasteless to students. There are many flavors that are available that taste amazing and can be refreshing to many students. There are a lot of opportunities for each student to be successful. Loading up on sugary drinks can be bad for their minds as well. They will not concentrate as well and can become tired from loading up on sugars. There are a lot of healthy teas on the market. A tea sachet does not include sugars and will only have natural ingredients that are going to dissolve completely in water. This can be cold or hot water. Many schools and organizations are looking for healthy alternatives for what they are currently offering their children. They want to help their students with obesity by helping students to avoid consuming unhealthy foods and drinks. This is something that is welcomed by a lot of parents. Teas are not something that are often consumed by teenagers and younger children, but it is perfectly safe for them. They may not like the plain black or green teas, but there are different flavors that are available in these. A tea sachet can be prepared quickly by mixing it with water. It can take three seconds or less to prepare also. There will not be any wet teabags to throw in the trash afterwards. It is not something that is messy to prepare. There are a lot of different types of drinks to choose from. This is why it is important to give a variety of different flavors and options for teenagers and young children. Each tea sachet is measured out for one serving. The strength of the teas can be adjusted for each individual preference by adding more or less water. Sometimes, the temperature of the water used to prepare it can affect the taste somewhat also. A sugar free tea is something that will be welcomed by schools and parents.